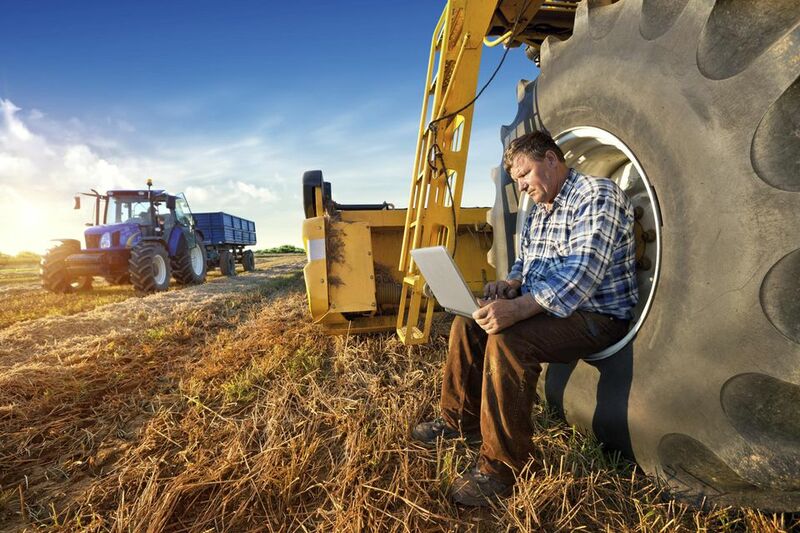 Monitoring Progress: If you are serious about running your farm, you will want to make sure that you are making progress toward your goals and that you are moving forward on your business plan. Even if you're a hobby farmer or homesteader, keeping track can make sure you meet your goals and can help you be more efficient in your work on the farm. Farming is more satisfying when you are making positive progress versus spinning your wheels. Good farm records help you see what works, what doesn't, and help you figure out why so you can make changes moving forward. Managing the Farm: Although this is similar to monitoring progress, here we're referring to keeping track of things like how many animals you have, what their health is, what health issues you may have had with them, what you're feeding them and how much/how often, what vegetable varieties you have and how they perform. If you keep a detailed farm journal about the specifics of your farm operation -- the animals and crops, not just the finances -- you're getting a full picture of how your farm is functioning. Sometimes you may be succeeding at generating positive income on your farm, but you're struggling with an aspect of animal care that requires adjustment. Or, you may find that your profits are suffering, and the root cause is that you are simply charging too little. You won't be able to trace that root cause unless you record how much feed you're buying and how many chickens that translates into, for example. You need both sides of the equation to run your farm effectively. Obtaining Loans and Grants: Many grants and loans for small farmers require that you have financial records to show what you have earned, what your expenses are, and so forth. Certainly, if you'd like to borrow money from a bank or other financial institution, they may require financial statements to prove that the farm is financially viable. Taxes: Income tax returns will need to be filed for your small farm. You will want to keep detailed track of expenses and income for the IRS, to ensure that you are paying the proper taxes for your farm. Consult an accountant for details specific to your situation, but tracking income and expenses is a must for any farm. This is where it gets tricky and very individual. It's hard to make blanket recommendations about what you need to track on a small-scale sustainable farm, hobby farm, or homestead. It really depends on what your goals are. So start with your business plan and work from there. What do you need to track to find out whether you're meeting your stated objectives? How will you know if marketing is succeeding? Financially, all farms should track income and expenses. Consult a tax professional for specifics here, but you'll want to categorize expenses to match your income tax return categories and you will want to make sure you've captured every penny spent and earned. Once you know what to track, it's a matter of figuring out what type of record keeping suits you. Your options range from a handwritten notebook to a computer spreadsheet or specialized bookkeeping program, or a combination. You can track expenses online and keep things automated that way, but for the nitty gritty of farm work, consider taking a paper notebook to the field with to record what you planted and when, what you discovered while inspecting the bees, and so forth. Make a master list of the information you want to track, sort it into categories, and decide how you'll track each category of information.